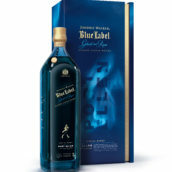 Home WHISKY & WHISKEY Scotch Whisky How do you make Johnnie Walker Ghost & Rare? 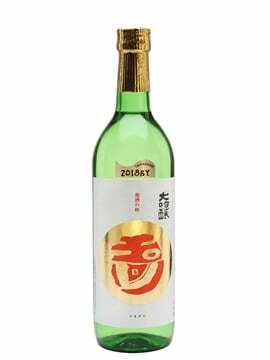 Imagine you were asked to take one of the world’s most famous blended whiskies and create a limited edition that paid homage to one of the world’s most revered lost distilleries. Where would you start? How would you do it justice? And how many times would you wake up in the middle of the night in a cold sweat? 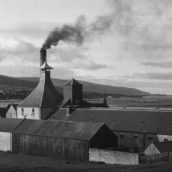 Did you have a clear idea of what the finished whisky would be when you started, or is it a more experimental process? I think it is a bit of both. You’re dealing with rare whiskies – there’s not much of them, there’s not much choice. That’s the reality of it. But you take what you’ve got and say ‘how am I going to express those flavours?’ That’s very much around having a sense of what you want the blend to be like, and then using what you’ve got in a particular direction. The preparation for that point is to understand the whiskies themselves, and then from that you begin to think, okay, how am I going to use them to create this flavour and style that I’m looking for? 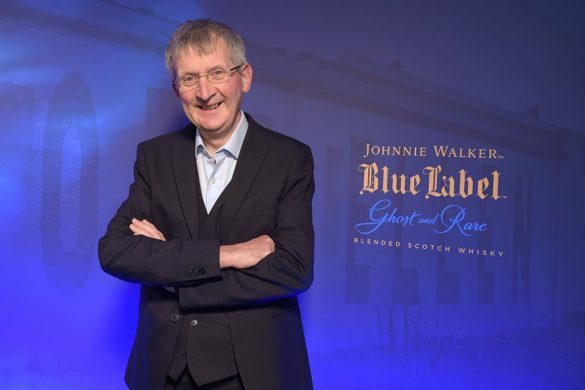 The blend style for Johnnie Walker Ghost & Rare: Port Ellen is quite different to Blue Label, and that’s deliberate. 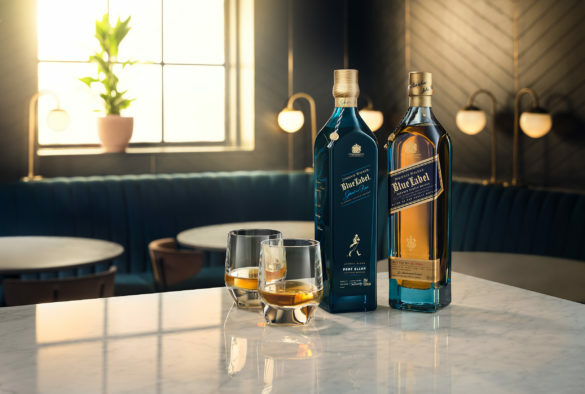 The idea of the blend is to showcase the individual whiskies, which is not the purpose of Blue Label – Blue Label is more a complete picture, the profusion of flavour that comes from complexity. 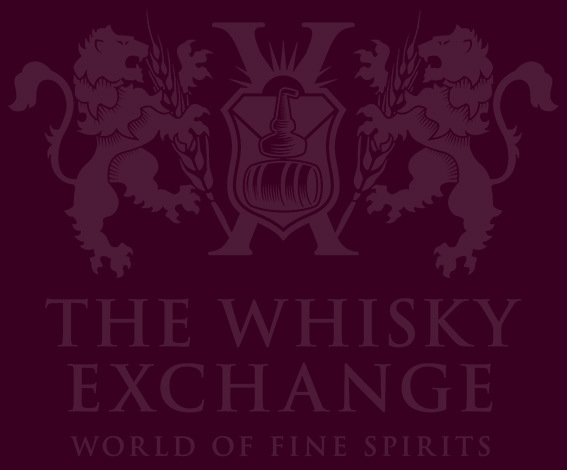 Do you have access to all the remaining Port Ellen stock, or were you given specific casks? For this blend I had freedom to choose. We obviously have a deep understanding of the stock available, and from that we knew which ones we wanted to use for the blend. How do you approach creating a blend like this? There are some basic rules. One is about the balance of flavours, so you assess the whiskies first – and I think it’s fair to say with Port Ellen that you know that its flavour is going to come in at the end. So in the thinking you know you’re creating something that will be complemented by the smokiness of Port Ellen, that’s really where it starts from. So then you start thinking about the flavours of the malts; the sum of all those flavours and the best ways to express them individually. 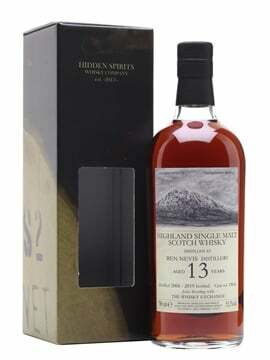 The big part of the puzzle is about the balance of these flavours, this idea of the light and accessible sweetness versus the more intense fruitiness that comes with the individual malts. So one of the big decisions is – how important is that balance? Having worked out that balance is a bit of a watershed. Once that’s been solved you’ve essentially got the core essence of the blend and you’re then adding top notes to it, to bring in additional flavour without compromising the balance that was created. How much Port Ellen went into the blend? Anyone who knows and understands smokiness in blends knows that you don’t need a lot of smoke in there to have that overt smokiness, The amount of Port Ellen we added to this blend is in that place – the level you need to add to a blend to make it smoky. How long did it take you to go from start to finish? A project like this can take quite a long time, there are a lot of conversations that go around it. The first week’ll be spent just basically pulling things together and seeing what the options are, then after that – I’ll go back to this point around the watershed moment about the balance – there’s a lot of iterative work around getting to that watershed. That can take days, it can take weeks, depends where you are with it – sometimes it means not being comfortable with what you’ve got and getting other expressions of those malts brought in. If you’ve got an idea set of malts, it can take a couple of weeks, if you’re needing to re-sample and reassess it can take much longer. 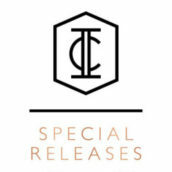 How did it compare to creating the Ghost & Rare: Brora edition? 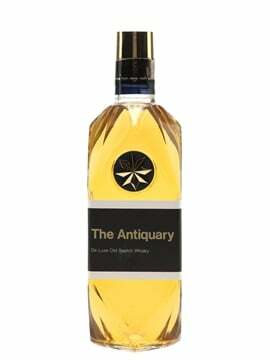 In a way the challenge here was that because it was going to be called Port Ellen, the expectation was that it was going to be smoky – so it was then around how we make that smokiness work in a blend style that emulates that of the Brora. The styles are connected, it’s like a family: these are individual expressions trying to showcase the malts that you find in Blue Label, and to do that we take a lighter more accessible approach. Ghost & Rare: Port Ellen is memorably light and fruity – is that something that will come as a surprise to fans of the range? It was deliberate – we lead with sweetness and layer the fruit on top of that, using that sweetness to bring out the flavours of those individual malts. 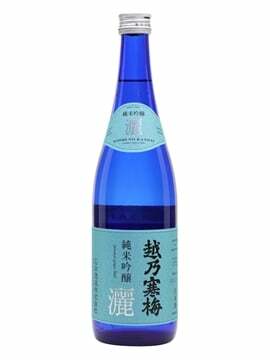 The lighter style helps to express that fruitiness – that estery tropical fruit aspect that comes through – and using the sweet vanilla flavours to bring that out is an important part of it. Would you hope that Ghost & Rare: Port Ellen will be drunk by people who’ve never tried Port Ellen before? How would you like people to approach it for the first time? 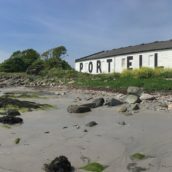 I think at the end of the day my target is the blend, and in a way Port Ellen is part of the story of the blend, rather than this is the story of Port Ellen. Of course, as part of the story is that Port Ellen’s in there, clearly you need to reflect the flavour you’d expect from Port Ellen. 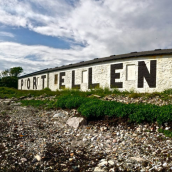 If you turn that angle it on its head, then this is an expression of Port Ellen in a different way – you’ve never really experienced Port Ellen like this.